While the advent of the padded glider rocker almost decimated the demand for wooden rockers in the latter 1900’s, the traditional all-wood rocker is starting to make a come-back. 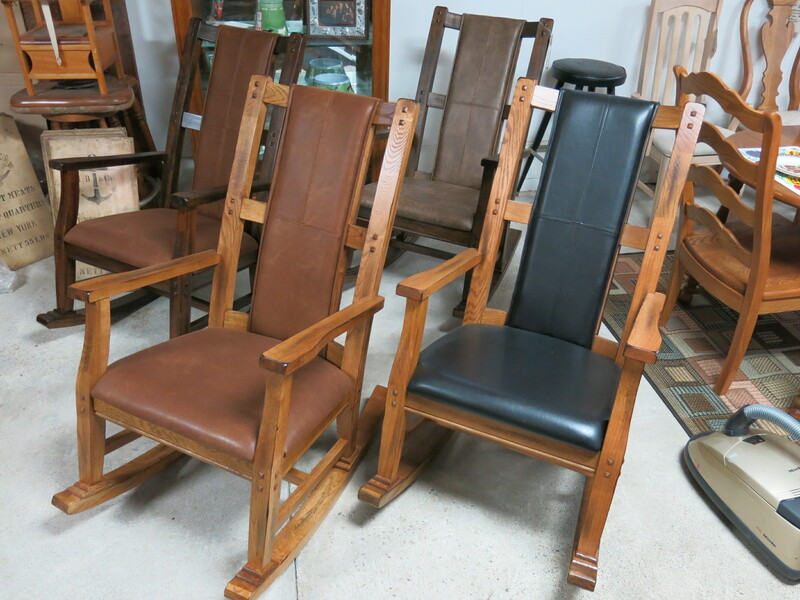 We offer a few wooden styles from a small manufacturer as well as the padded glider rockers from Best Home Furnishings. Best offers a wide selection of styles and an impressive selection of fabrics. They offer a very long glide with quality bearings that should last a lifetime. We also sell sets of just the pads in case you have worn yours out or are moving the chair to another room that requires a different color or style of fabric. Our most popular rocker is a rustic wood rocker with padded seat and back from Sunny Designs at a very affordable price. We stock it in a variety of finishes.